The season of pumpkin spice and glowing sunsets is here – so welcome in the brisk, colourful days of fall with warm orange décor! With Halloween right around the corner, we had to grab the opportunity to give some love to one of our favourite hues: pumpkin spice orange. The key to working with this intense colour is to use it for those items or areas in your home that you wish to call attention to. Then be sure to select coordinating colours wisely. The return of the pumpkin spice latte has become the unofficial harbinger of autumn since Starbucks launched the beverage in 2003. 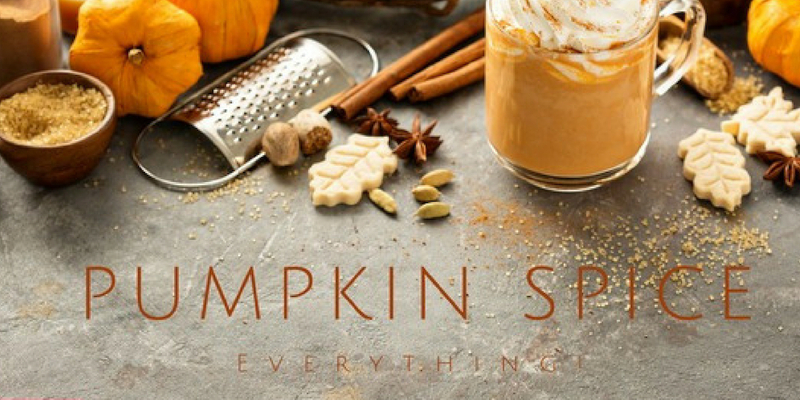 Since then, pumpkin spice has become a beloved — and ubiquitous — flavour for all manner of seasonal snacks and scents. But you don’t have to relegate the autumnal trend to your morning coffee. Pumpkin spice (the colour, not the flavour) works just as well when it comes to your home decor. 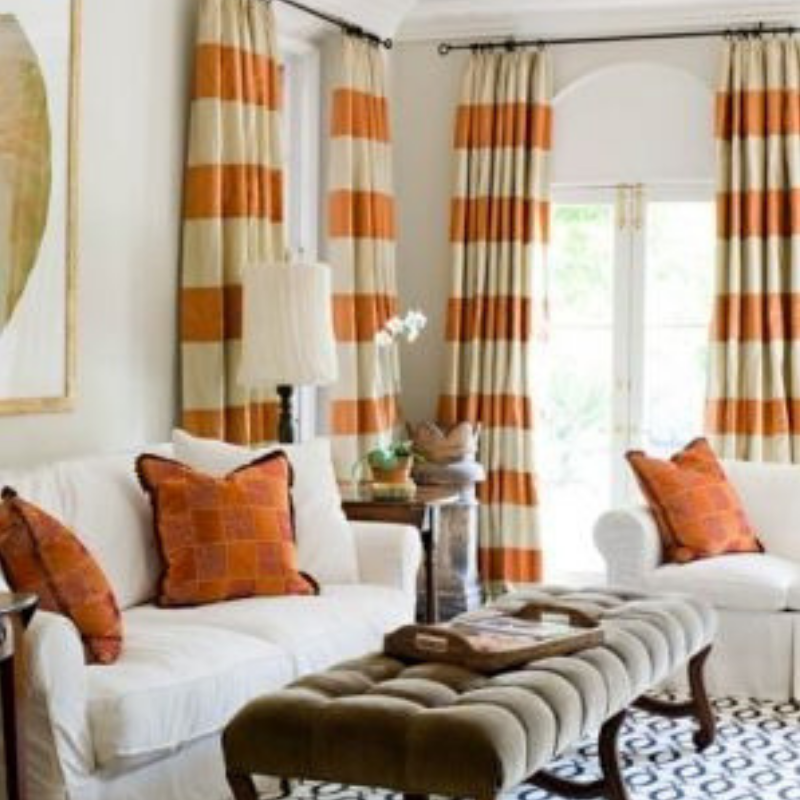 Coordinating colours similar to orange — shades of brown, red or yellow — will make your palette colourful yet harmonious. Shades of blue (the complement, opposite of orange on the colour wheel) will create a dynamic, high-energy vibe. The more colour shy among you might want to pair this intense orange solely with neutrals. You can use it to warm up a predominantly white or grey modern interior, to keep the space from feeling too stark. 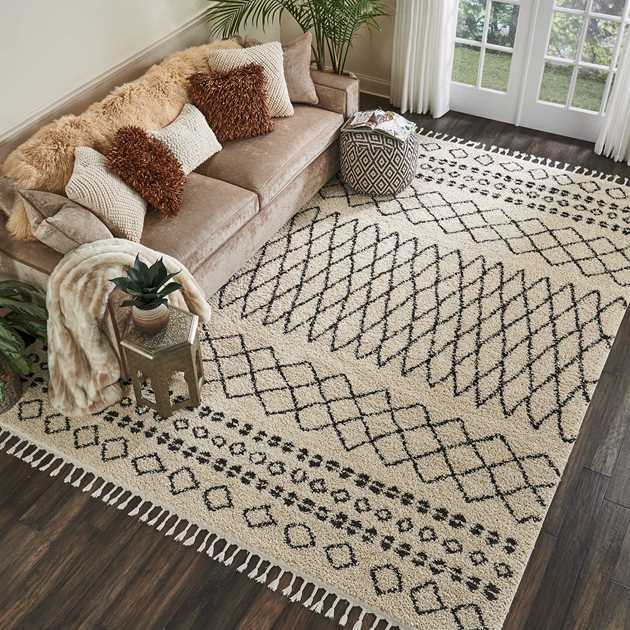 Or you can use it to add some vibrancy to a traditional space that’s perhaps heavy on dark neutrals or deep wood tones. 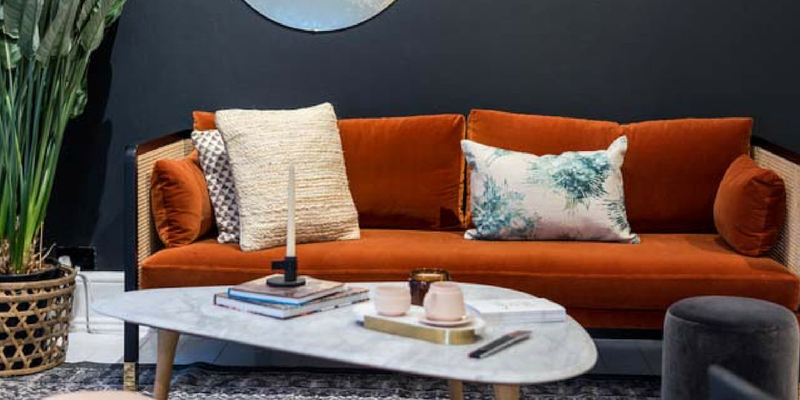 I’ve gathered nine examples that illustrate just how gorgeous and versatile this hue can be in a home, along with six of my favourite pumpkin-inspired paint colours. One of our favourite, and more unexpected, ways to bring bold colour into a room is through light fixtures. Lighting now comes in all sizes, shapes and colours, and we love making a bold-hued ceiling fixture the centrepiece of a room. It draws the eye upward and can make the space appear larger. Sure, they’re an obvious way to use a bold colour in a room, but I remain a loyal fan of accent walls. An eye-popping colour such as this on all four walls could feel overwhelming, especially if the room lacks plenty of natural light. I, therefore, tend to advise homeowners to use it on just one or two walls. Or on the ceiling. 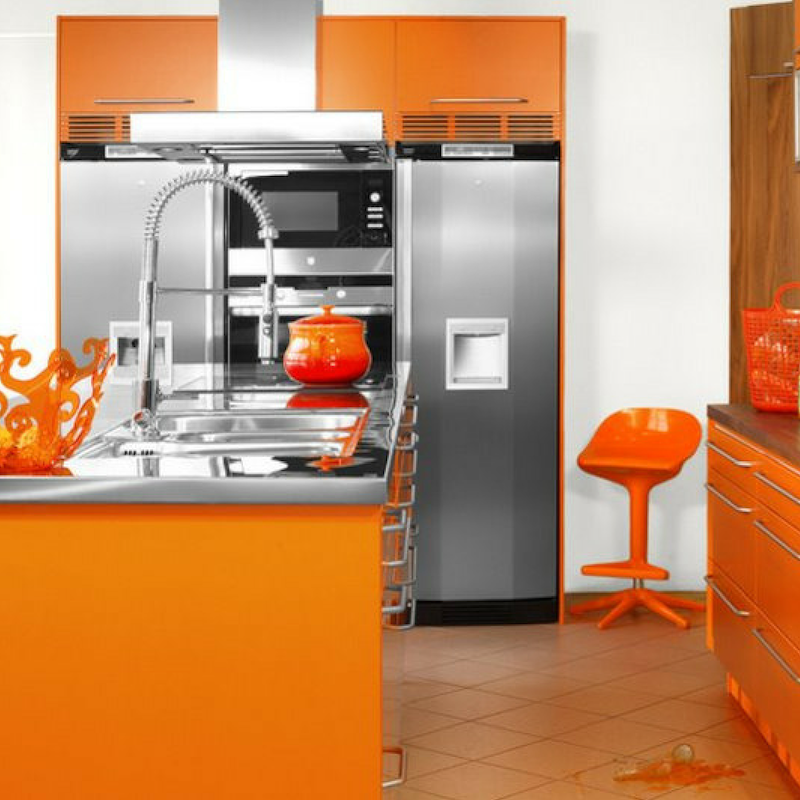 If you favour walls, ceilings and floors in neutral hues, think about adding a fun orange colour in your furnishings. 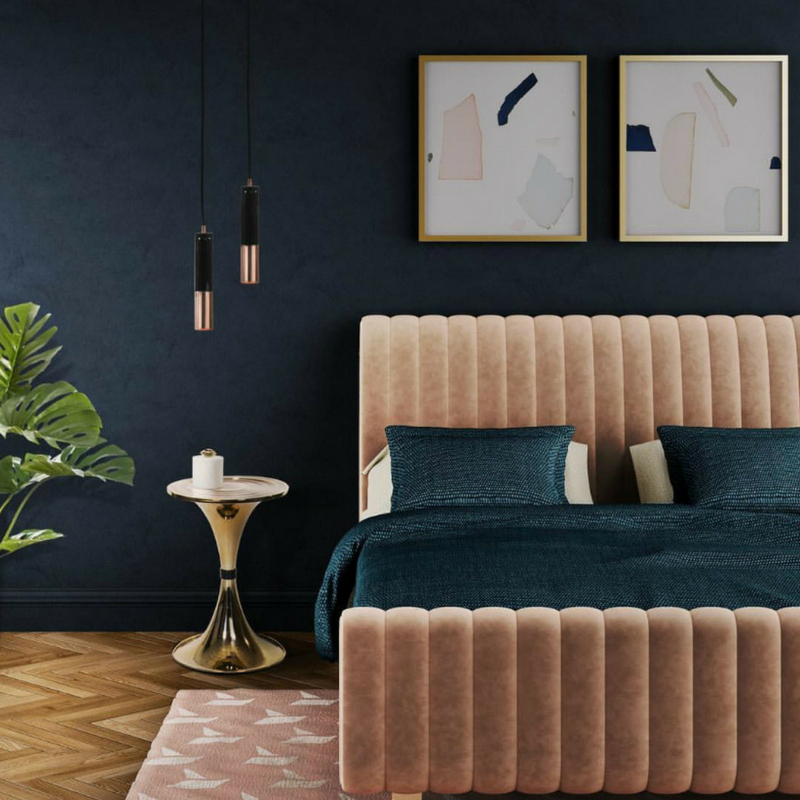 Furniture can get expensive, so you should make sure you love this colour and want to keep it around for a while, but the nice thing about using furniture or decorative accessories for a jolt of colour in a room is that they are fairly easy to update. 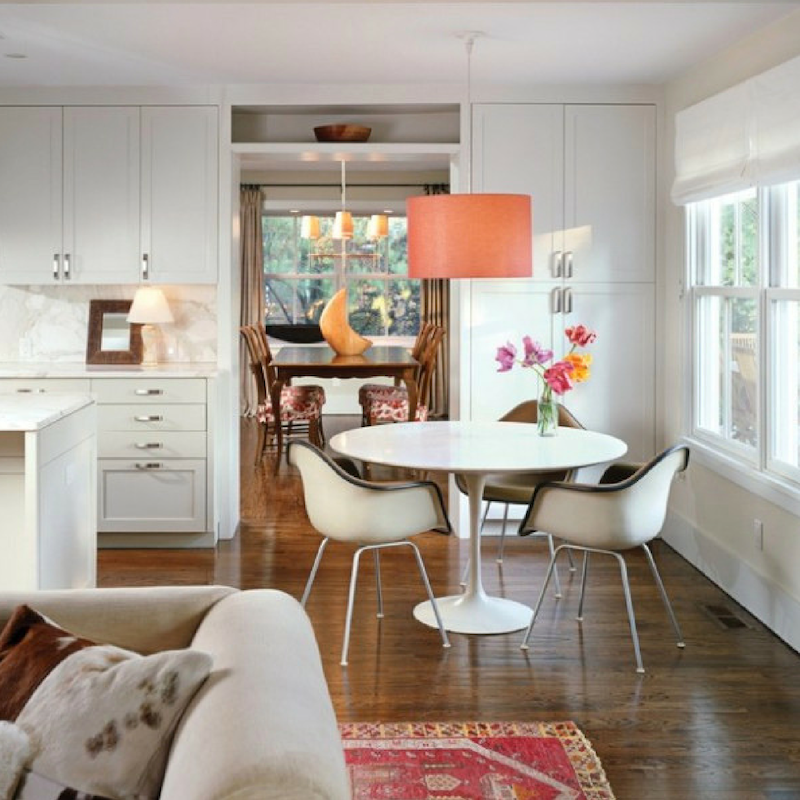 We like to use neutral hues for items that we don’t want to change out for many, many years, such as flooring and kitchen countertops and cabinets. However, it does not have to take a huge amount of work or a big expense to update a backsplash down the road should you grow tired of the colour, especially if your backsplash area is rather small. So why not go for a bold orange colour? When paired with white and rich woods, as in the example shown here, it creates a look that is clean and modern, yet warm and inviting. 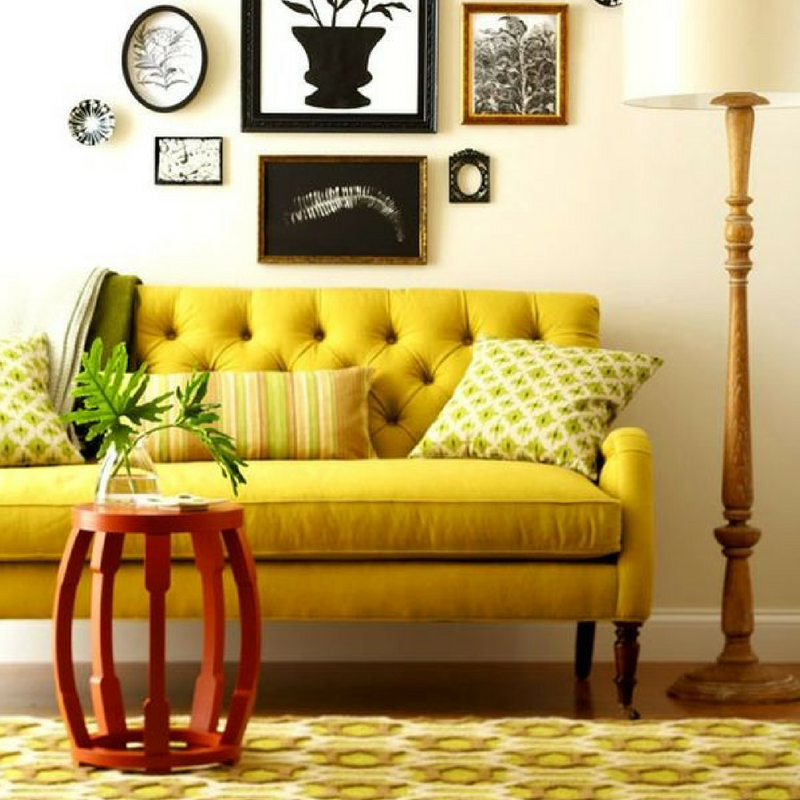 Consider a fun colour for even the most utilitarian items in a room. We love the choice of orange for the storage boxes and binders here. It gives the office a happy, fun vibe. 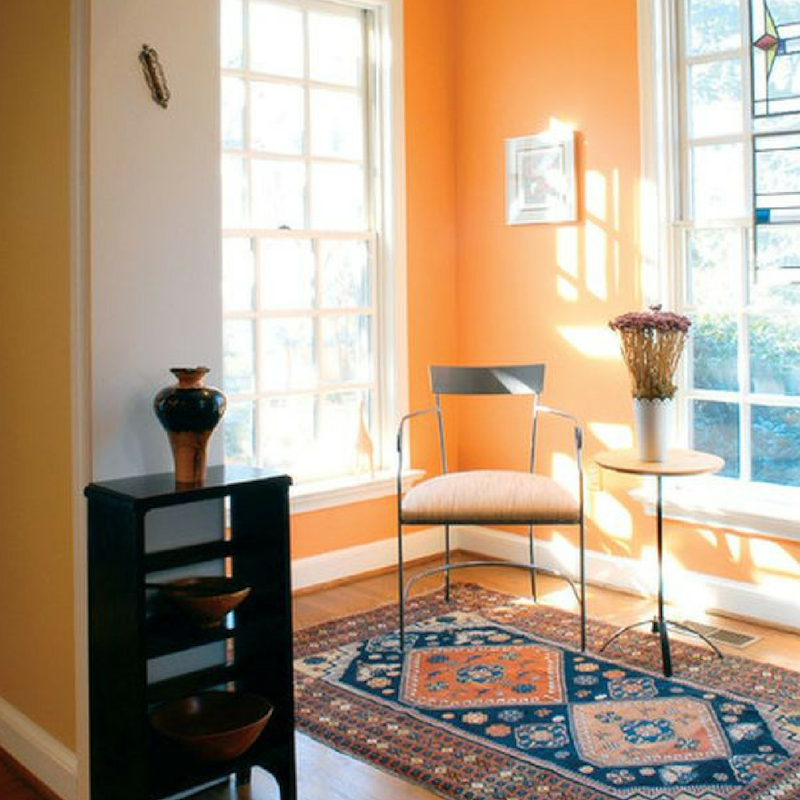 Take bold orange outside with an exterior accent wall. This is a terrific colour for outdoor spaces in a cold or rainy climate because it can provide a warm glow during the chilly fall evenings. Give your prized possessions the attention they deserve by painting the back or interior of your shelving or display cabinet a feisty shade of orange. You can also add a splash of colour to the inside of a built-in niche. 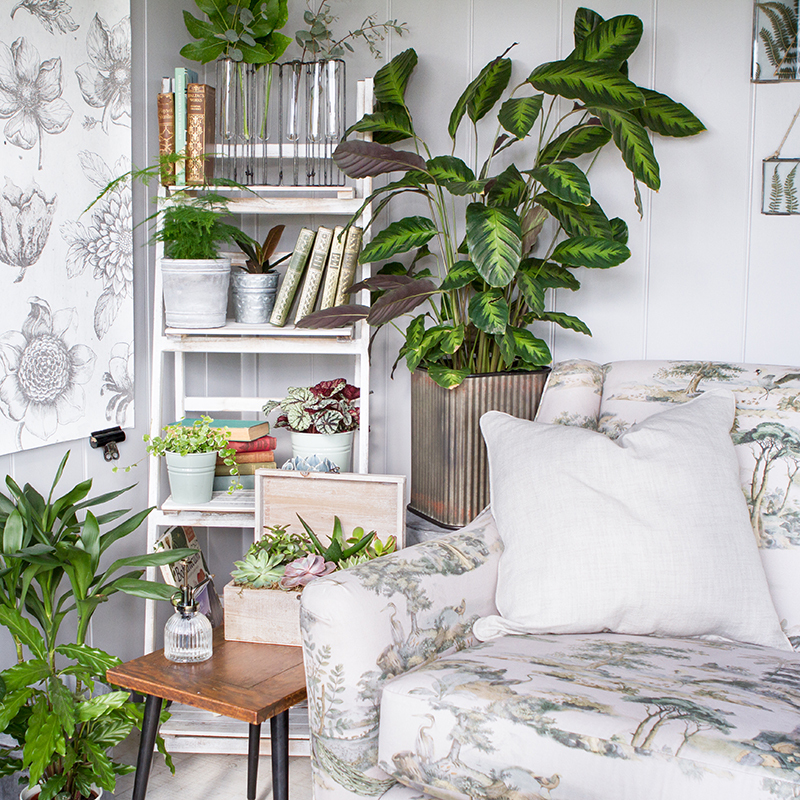 Pick up the colour in small bits throughout the room to help move the eye around the space. 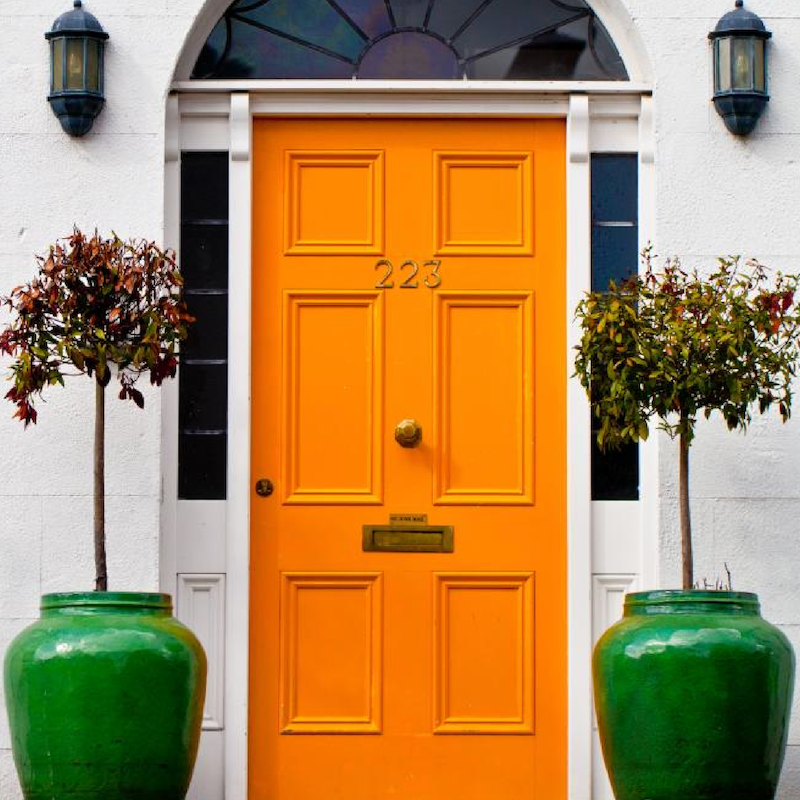 No matter the style of your home, you can’t go wrong with a pumpkin-orange front door. But if you opt for this hue for the door, we recommend sticking with more neutral colours for the siding and trim, unless your home is minimalist and contemporary in style. This is because the more clean and simple the lines of the home, the easier it is to pull off a bold colour palette without the whole thing’s appearing too busy. 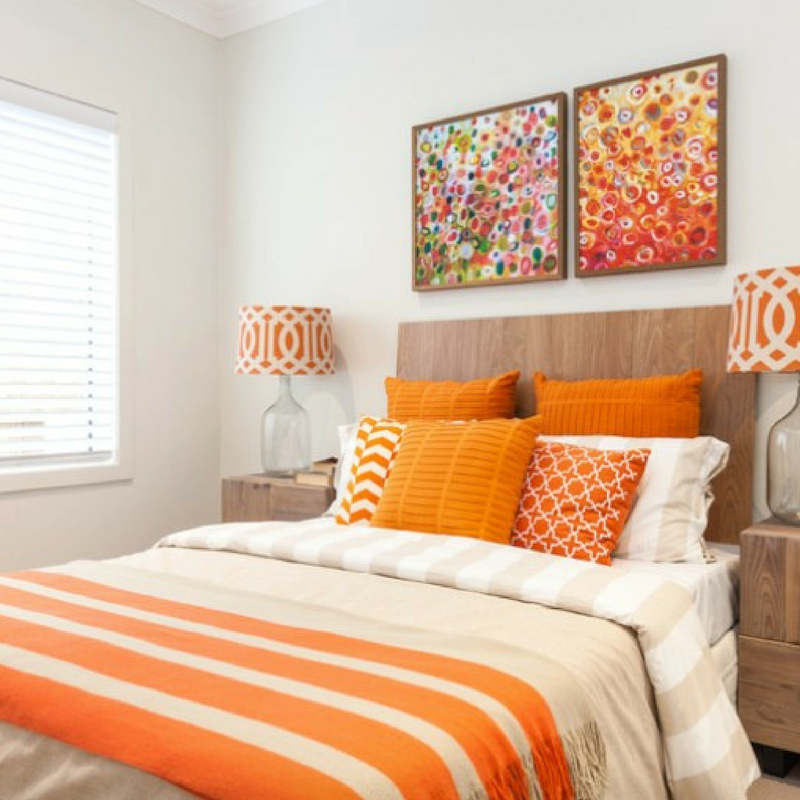 A little pumpkin orange goes a long way, so if a full accent wall is too much colour for you, think about using a mere stripe of the colour. This is a cool look for a kid’s or teen’s room. And because it’s such a small amount of colour, you could even let the child pick out the particular hue. Styles: Which Decorating Decade Does Your Interior Style Belong In? Tell us: Are you a fan of bold pumpkin hues? How have you used them in your home? Post your pictures in the Comments section below.